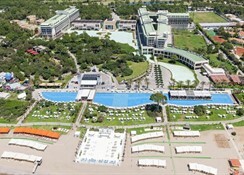 The Rixos Premium Belek Hotel enjoys a fantastic location nestled amongst pine and pistachio trees and boasting a 1km long sandy beach in the popular exclusive resort of Belek. 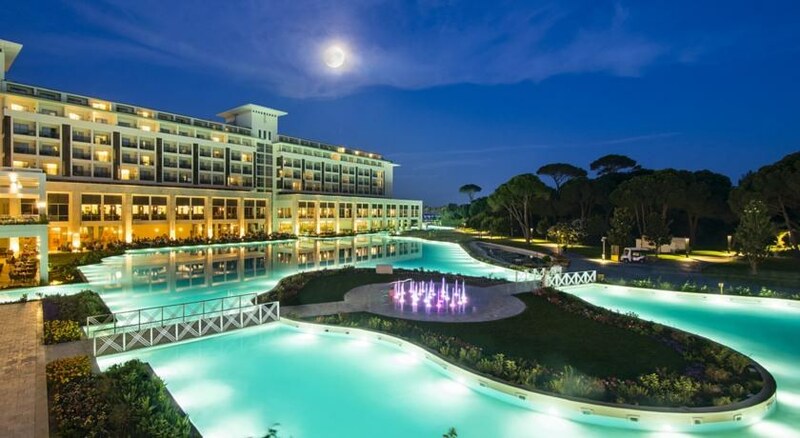 Offering outstanding value for money, superb services, facilities and amenities all delivered by professional staff dedicated to your holiday enjoyment making the Rixos Premium Belek Hotel the perfect choice for discerning holidaymakers seeking a relaxing stay in a genuinely friendly atmosphere. Treat yourself and your loved ones to a holiday to remember by making your next booking to Turkey at the Rixos Premium Belek Hotel and enjoy. Local tips: a must do day out for all the family – the Troy Aqua Park and Dolphinarium free for guests of the Rixos Premium Belek Hotel. With lazee river, picnic areas, water slides, swimming and much much more. Ask the staff at reception for further information. Food, drink and entertainment: guests can choose from a variety of dining options including the main buffet restaurant featuring local, national and international dishes, themed menus and show cooking. Alternatively guests can choose from Italian, French , Chinese, Seafood, Turkish and Greek a la carte restaurants (reservation required). Lighter meals/snacks are offered throughout the day from the beach café/bar, poolside café/bar and the food court. Drinks are available from the café/bar poolside, beach bar, vitamin bar, lounge bar, Pier bar, Nargile bar, Sunset bar, Irish pub, Xpress bar, Highlights bar, Hamam bar and Viennese café Wien. A full entertainment program includes a unique sound/light show nightly, live music, disco and live performances. 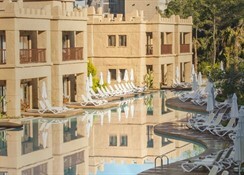 Sports, games and activities: sea water outdoor swimming pool, indoor swimming pool, spacious sun terraces with sun loungers and parasols, full service Spa and Wellnes centre featuring Turkish bath, steam room, sauna, Jacuzzi, snow room, rain room, relaxation room, Cleopatra massage room, traditional massage rooms, jet shower, solarium, hydromassage rooms, thalasso therapy, seaweed therapy, affusion therapy rooms, medjet water massage room, aroma plasty room, skin care room, Thai massage room, Indian style treatments, 2 squash courts, 1 mini basketball court, 2table tennis, water sports centre (at beach), 770m walking track, mini volleyball, daytime animation team. For the kids: kids outdoor swimming pool, kids club with dedicated animation team, mini disco, kids playground, kids cinema, dedicated live shows. 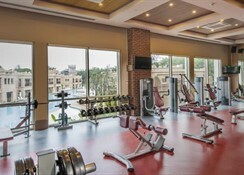 Additional: 24 hour reception, currency exchange, safety deposit box (reception), ATM/Banking service/facility, on site shopping centre/arcade, conference/business centre, secretarial services, phone/fax/postal service, newsstand, medical assistance, room service, kids menus, tourist information service/desk, parking, housekeeping, maid service, excursion service/information desk. The Rixos Premium Belek Hotel features well appointed spacious elegant and comfortably decorated guestrooms fully equipped with full bathroom, hairdryer, plasma satellite/cable tv, direct dial telephone, internet access, hifi sound system, air conditioning, in room safe, seating area, dressing table/writing desk. Extra bedding, linen, towels, infant cots and ironing facilities are available on request. 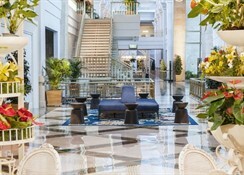 All guestrooms enjoy a furnished balcony/terrace offering views of the surrounding area.